Have you been seriously injured or lost a family member in a vehicle rollover or any other accident caused by a tire blowout? If so, the tire manufacturer or retailer may be legally responsible for compensating you under California’s defective product liability laws. Injured Due to a Tire Blowout? 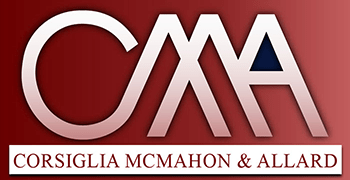 At the San Jose law firm of Corsiglia McMahon & Allard, L.L.P., our Bay Area tire blowout attorneys help accident victims pursue fair compensation. To set up a free consultation with an experienced lawyer, contact us today. You will not pay a fee unless we help you win your case. Call us at (408) 289-1417.
Notable Case Result: $1,115,000 policy limits settlement for wife and three children arising from auto accident death of husband and father. SUV rollovers caused by tire tread separation gained a great deal of attention in the 2000s, leading to several Firestone tire recalls. Tire blowouts continue to be a major concern because they can cause drivers to lose control of vehicles, resulting in extremely serious accidents. If you have been injured due to a tire blowout in your own or another driver’s vehicle, our attorneys may be able to help you pursue a personal injury claim against the manufacturer. One major danger with tires that has gained attention recently is internal degradation, which can cause normal-looking tires with no apparent issues to blow out. 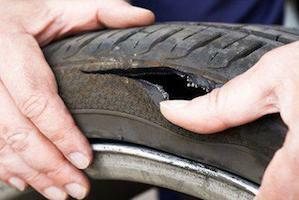 A tire that is likely to degrade internally may be considered defective in its design or manufacture. The experienced auto defect trial lawyers at our firm will carefully evaluate all possible causes of your accident in order to pursue the fullest possible compensation for your injuries. Don’t hesitate to contact us today to discuss how we can help you; call our San Jose auto defect attorneys at (408) 289-1417. Our law firm serves clients throughout the Bay Area, including Sunnyvale, Cupertino, Gilroy, San Jose and Santa Clara.